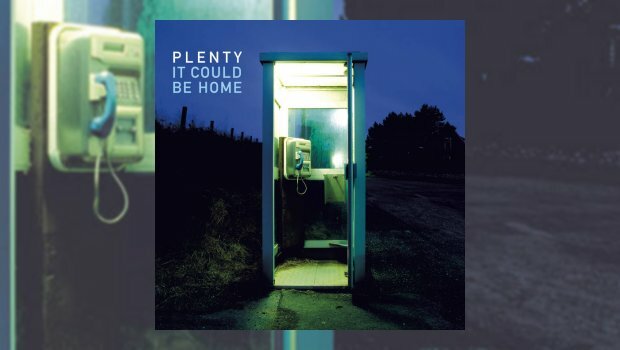 In 2016 the occasional band reunion suggestions finally took off when the most enduring members, Brian Hulse, David Jones and Tim Bowness, decided to re-record sixteen of Plenty’s songs and to try and complete the album they had wanted to release thirty years ago. Tim is now well renowned for his solo work and also as part of the No Man collaboration with Steven Wilson, the project he moved on to after the breakdown of Plenty. Plenty emerged from the ashes of a Liverpool-based post punk band, A Better Mouse Trap, and Warrington art rock band After the Stranger. The band existed from July 1986 through to November 1989 with a partial reformation in June 1990, fluctuating between a quartet and a trio with the longest lasting line-up being the three who have come together for this project. Guitarist Michael Bearpark was part of the quartet in the early days and also a member of the 1990 trio version, he returns to contribute some parts for this new album. Plenty began the process of rewriting some lyrics and refining the production whilst wanting to remain faithful to the spirit of the original recordings and the era in which they were written. They also wrote a new song, The Good Man, to be included on the album. Between March and June 2017 the album was “masterfully mixed” and instrumentally augmented in Norway by none other than the excellent Jacob Holm-Lupo of White Willow, whose skills have helped to bring this album to life, with mastering by Steve Kitch (The Pineapple Thief). This is a collection of electro-pop/rock anthems and poignant ballads that could have just been a repeated soundtrack to the Eighties, but it is not. It Could Be Home is a labour of love and attention to detail, bringing these songs up to date without losing sight of their origin; they sound current and relevant. The album has a wonderful flow, the songs carefully placed in the order to maximise the experience. The opening track, As Tears Go By, written by Mick Jagger and Keith Richards, is an excellent synth drenched version that leads into Hide with its bright and positive pop vibe. My favourite track is next, Never Needing, a beautiful and gentle synth driven song. Here Tim’s unique vocals add to the atmosphere created by the band, all this leading to some delicate guitar which never dominates, but is not easily forgotten. As mentioned earlier, during the process of re-recording they also got together to write a new song and The Good Man sits well amongst the originals by keeping to the same style and flow. The longest track, Broken Nights at six and a half minutes, has the most obvious ’80s vibe, provided by the synths and the programmed drums on what is a perfectly paced track. There is also the laid back rock vibe of Strange Gods, with an almost bluesy touch to the start before the synths come in and sweep around the insistent bass lines. 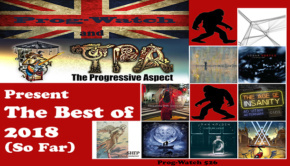 There is quality throughout this album, from the production, sound, song writing and performances, repeated plays begin to slowly draw you in to the whole feel and atmosphere, the melodies imprinting into your mind in a satisfying way. There are hints here of what Tim took to No Man, but it also makes one wonder what this trio might have achieved if they had continued to write together.